Taber® Industries has extensive experience with testing physical properties including resistance to abrasion (wear), scratch & mar, and material stiffness. You can take advantage of this expertise through the "TABER-Test" Program. Whether you are designing a new product or in need of an unbiased lab evaluation, we can help. Our knowledge includes tests on a diverse group of materials; an understanding of assessment criteria and supplier requirements; and participation with trade associations & test method development. PRODUCT EVALUATION - Before you invest in an instrument, our experts would be pleased to review your material. We will conduct feasibility testing on a few of your samples, or share our past experiences to help you determine if Taber products can solve your concerns. This service is offered free of charge. DETAILED - Our experts will conduct an analysis of your material(s) and provide a detailed report of our findings. The report is specific to your company and typically includes test set-up, test procedures, test observations, photographs, and a brief data analysis. The cost of this service is dependent on the type and quantity of tests that are requested. 3rd PARTY TESTING - Taber's in-house test laboratory also performs independent testing. 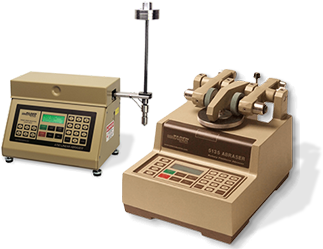 If you are required to test according to a specific method referencing a Taber instrument, but the frequency does not justify the purchase of an instrument, we can help. This service is also useful if you require an independent lab to validate your results. The cost of this service is dependent on the type and quantity of tests that are requested. Taber Industries also provides the opportunity for "hands-on" experiences. We invite you to visit our lab or arrange on-site training seminars at your facility. 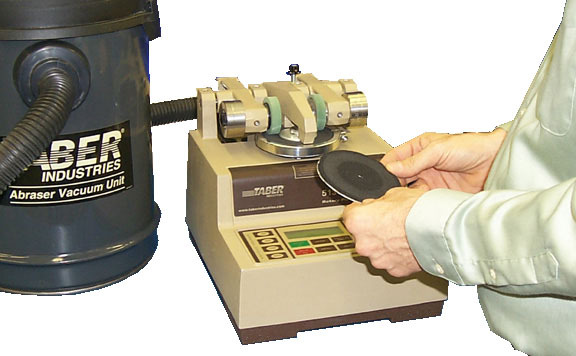 In addition, Taber can also provide consultation for your abrasion or scratch resistance testing. This may include recommendations for the appropriate instrument system; assistance with developing a test procedure; understanding evaluation techniques for interpreting results; etc. For more information on the "TABER- Test Your Samples" program or to request an estimate for "detailed" or "3rd party testing", CONTACT US.